The Advocate Redi-Code Plus glucose test strips are only compatible with the Advocate Redi-Code Plus glucose meter. 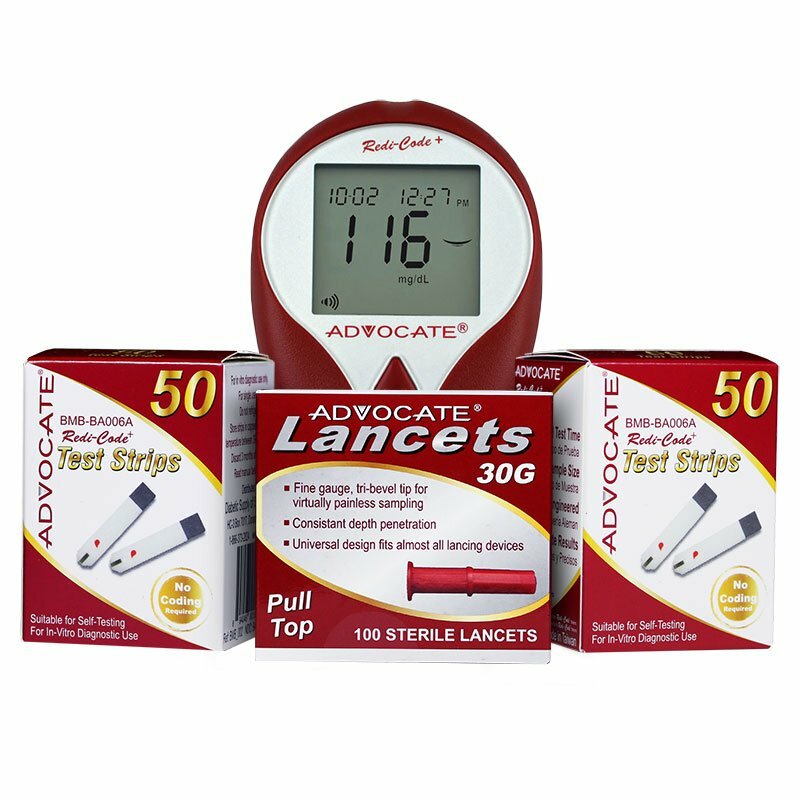 This offer includes 100 test strips, 100 lancets and a FREE Advocate Redi-Code meter. Contains 100 Test Strips, 100 Lancets and 1 Free Meter Kit. I have been using this meter for years. (Had to replace it when I lost the original a few years ago.) It works fine, is easy to use, lancets are fine and sharp, and the test strips are the most inexpensive ones I could find. This is major because big companies give free meters to patients and then charge a lot for the test strips. I self-pay so this is important to me. The advocate meter worked out wonderful. I have aging parents, and their sight and hearing is not good. So with the large screen display as well as the meter talks is a plus. Since then my husband has had to keep a record of sugar level, so I knew exactly which one to purchase.